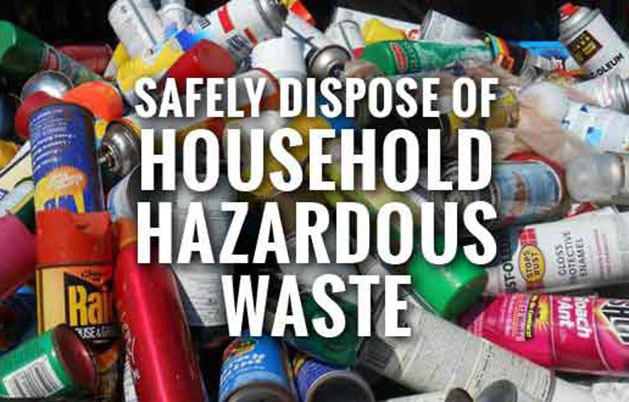 Greene County Solid Waste Management will be holding its annual Household Hazardous Waste (HHW) Collection event 7:30 a.m.- 12:30 p.m. June 30 at the Greene County Highway Department facility at Scott Lane, off Route 9W in Athens. County residents are asked to come to the site during a time period based on the first letter of their last name so traffic can be spread out evenly during the morning. The suggested times are as follows. The first letter of your last name begins with A-F, 7:30-8:30 am; G-K, 8:30-930 am; L-P, 9:30-10:30 am; Q-U, 10:30-11:30 am; and V-Z, 11:30 am-12:30 pm. Participants are advised to carefully package their HHW to prevent leakage in their vehicles during transportation to the event. They are also requested not to bring children or pets while transporting the waste. They should also be prepared for the possibility of a short wait in line. Site security and traffic control will be provided by the Greene County Sheriff’s Department. During the event participants will be asked to remain in their vehicle as they are directed through the site. All waste will be unloaded and handled by the contractor, MXI Environmental Services LLC. They will be responsible for unloading, classifying, packaging, transporting and recycling or properly disposing of the accepted waste. Under the terms of the program, this event is for household hazardous waste only. Commercial or agricultural wastes will not be accepted. Solid Waste Management staff will determine if any waste or excessive amount of waste is unacceptable. Normal wastes or recyclables that can be disposed of through the transfer station system will not be accepted at this site.